Good Relations North launched in Manchester City Centre yesterday, as MD Jo Leah welcomed guests with Lidl’s House of Hortus Gin and the sounds of acoustic artist Joe Ward. 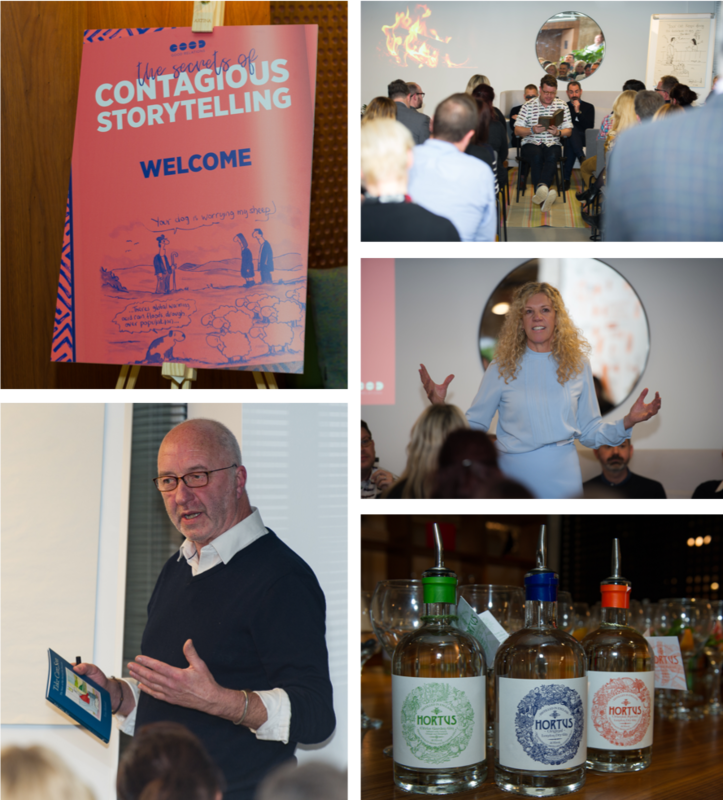 The evening explored the Secrets of Contagious Storytelling from what makes a memorable story to how we can capture the attention of a time poor society. Setting the scene was David Wiles, Good Relations Executive Director, who explained just how contagious powerful storytelling can be. Dr Mark Batey Creativity & Innovation expert, talked the group through the psychology of stories outlining the magnificent 7 tactics for storytelling, Deputy News Editor of The Sun Richard Moriarty explained what makes a headline contagious and Tony Husband talked through how he captured stories for Private Eye, The Times and The Spectator in the form of a cartoon.